The camping season doesn’t need to end because of a little snow, it just takes a bit more planning! Imagine the soft sounds of snow patting against the tent, a steaming cup of cocoa, and the laughter of new friends amongst the snow-covered trees in the Mt. Hood Wilderness. 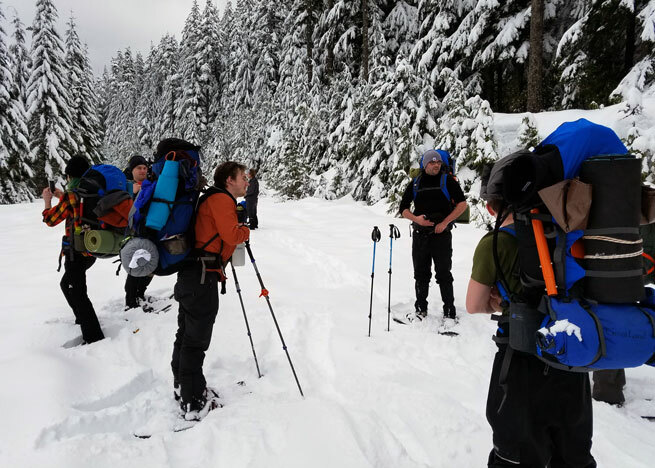 Learn how to stay warm and dry when the temperatures drop, build a snow shelter, travel on snow, and plan a successful winter outing. For more details and information visit Winter Camping Trip.